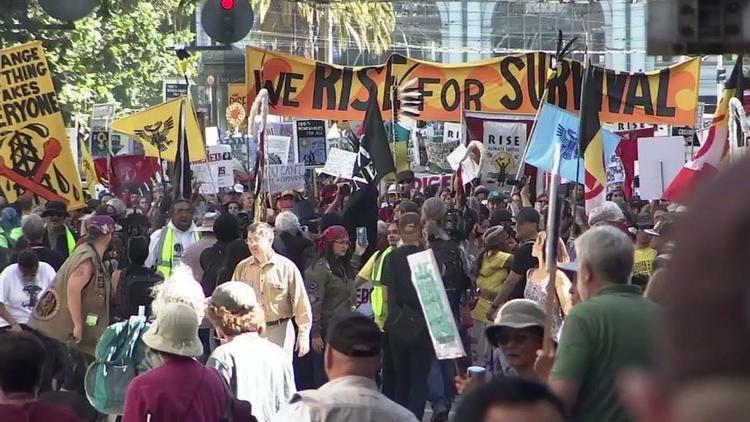 Ann Arbor (Informed Comment) – Environmental activists protested Saturday in 90 countries and 800 cities across the globe and the United States against inaction on the Climate Crisis in the run-up to a major climate conference in San Francisco organized by Gov. Jerry Brown for Wednesday in the wake of Trump’s violation of the Paris Climate Accords.. The events were organized by 350.org and allies among Non-Governmental Organizations.